The White Dog Blog: It's a miracle! Oh, my dawg, puppers. I just about pee'd myself when I hopped up on this bench and realized what it said. If ever a miracle was manufactured, it was moi. I mean, really, think about that for just a second. 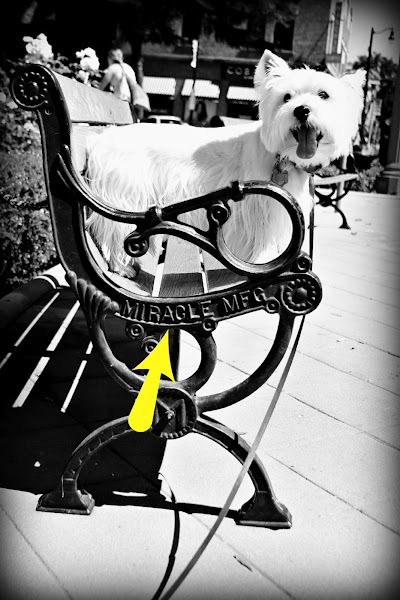 Yup, a miracle before our eyes! You definitely are a miracle, Duncan! BOL! Yup, you sure are! My Ma says it's a miracle I make it through the day! Love the pic! Super Model! !